Call today for your appointment to discuss a treatment plan. The ancient Chinese developed their medical system through observation of how the human body, mind and spirit relates to and is affected by the natural world. Acupuncture is one of the primary practices within this medical philosophy. The classical explanation of how acupuncture works is that qi (roughly translated as life force or energy) runs through our bodies in pathways. These pathways, called meridians, are like rivers that connect and nourish our organs, muscles, blood vessels and nerves. An obstruction in the flow of a meridian is like a dam blocking the flow of a river. Obstructions can occur for many reasons including pathogens, physical injury, lifestyle habits, stress, and emotional trauma. 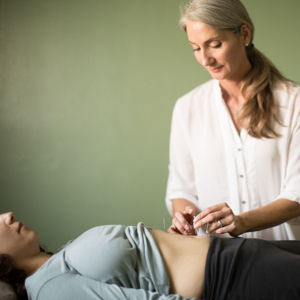 Acupuncture unblocks obstructed meridians allowing the body’s healing energy to flow freely. Acupuncture creates micro-traumas that initiate the body’s immune response. Acupuncture stimulates the release of the body’s natural pain killers such as endorphins and enkephalins. Acupuncture relaxes short, tight muscles, thus relieving pressure on joints. Acupuncture reduces emotional stress by stimulating the release of oxytocin, the same hormone that is released when we hug a loved one. Acupuncture is an effective treatment for a wide range health challenges — either by itself or in conjunction with conventional medical treatment. Below is a list of medical conditions commonly treated with acupuncture. CLICK TO BOOK YOUR APPOINTMENT TODAY!